Can you even imagine a construction business without a good-quality laser level? What about a remodeling DIYer who still depends on a dumpy level to survey for his projects? Unimaginable in the 21st century. Investing in the best laser level is, therefore, a no-brainer. But, which one do you choose? Is a cross line laser level the best option? What about accuracy and longevity? All sorts of questions can crop up in your mind. Laser Level Hub aims to answer those questions. In this article, we help you find the best laser level for the money and your requirements. In case you are interested in buying other types, check out our guides for dot lasers or rotary laser level reviews. For now, let’s focus on the top 6 laser line levels for builders and remodelers. This is comprehensive take on each of the above-listed laser level models by our in-house technical experts. These laser level reviews have been prepared considering the diverse needs of builders, architects, carpenters, and DIYers. DeWALT is an American brand which is popular for its innovative features in power tools. The DW089K is one of their best laser levels known for its packing power in a small unit. The third vertical beam is a handy feature that aids in 90-degree layouts for builders and contractors. There is no need for a second laser when you want to create squaring partitions for structural surveying at plinth and formation levels. 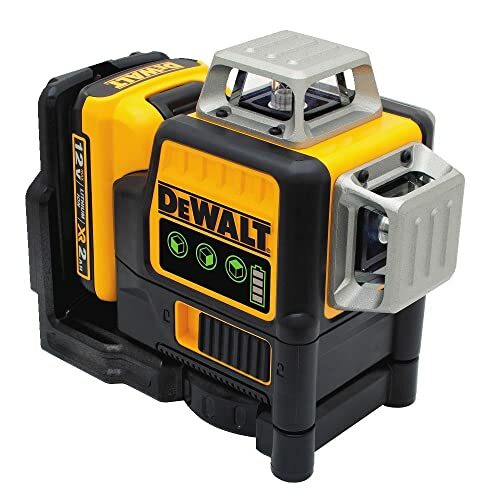 DeWALT really knows how to pack most features in its models that are built to last. The third beam itself is an attractive feature for builders who want to project inside a room for leveling and surveying. The beam range is up to 50 feet, but we were not really happy with its visibility in broad daylight. Nonetheless, it works best indoors even during daytime. The individual buttons help you save up on power; it uses 4 AA batteries and you can expect a runtime of more than 30 hours. 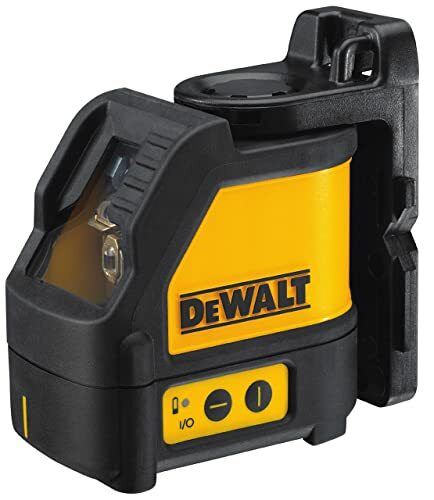 Battery life is good in this DeWALT self-leveling laser level when compared to other models in the list, with the storage kit allowing extra space for backup batteries. The high track clearance does not require a separate platform as you can fix it on the floor or on a tripod for surveying. Although the mandatory pendulum lock is missing, the DeWALT DW089K compensates it with a micro-adjust knob. It aids in setting line to layout without having to move the entire tool back and forth till you find the right spot. 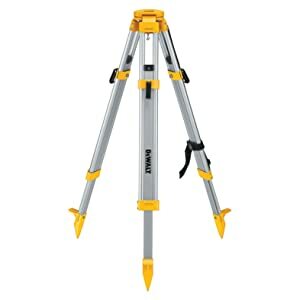 Overall, it’s the best laser level for builders to carry out projects involving squaring partitions and grid ceilings. The DeWALT DW089K comes in a strong case, is the most accurate laser level on this list, has three years of limited warranty (including one-year free service which you will not require), is rated IP54, and is trusted by Americans. DeWALT DW089K is our top choice for builders because there is nothing that this DeWALT tool cannot do. Go for it! If the above model was the best DeWALT laser level, then the DW088K is its cousin, packed with almost the same features except for the extra beam. If you are looking for a laser level for cabinet installation and other similar indoor activities, then you need to stop your hunt here. You have found your candidate. The DW088K is wonderfully portable so that you can take it around in your construction sites without worrying about the logistics. Add to that the ease and convenience of usage whether it is tile laying or working on electrical plumbing system, and the laser level will pay for itself in just a few months. Small businesses love it because of its reliability and high accuracy. The one drawback of not having a locking system may put indoor carpenters off but if that’s not your focus area then this will be an ideal choice. The DW088K is the best cross line laser level we have come across in the market that is both inexpensive and portable. It was made for constructors who work on the installation of wall fixtures, drop ceilings, and partition walls – maximum output for a steal. 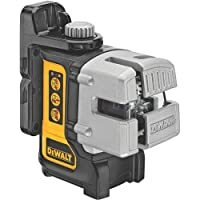 If you run a small business that is involved in home construction, bathroom surveying, carpentering, and tiling, this DeWALT DW088K will be a great bang for your buck. No doubt about it. If you want more brightness and a more reliable power system, then let us introduce to you the best whole room laser level – the DeWALT DW089LG. It’s simply a hybrid of the above two models. The DW089LG is trusted by millions of construction workers in the States and around the world because it can generate three 360-degree green beam lasers, allowing you to accomplish any type of level, plumb, or square jobs. Its 4x powerful green laser beams will give you visibility up to 100 feet even in broad daylight, and without the need for laser enhancement glasses or a target card (which come free with this model). The 12V Li-ion battery is another great thing about this professional laser level. The charger allows you to quickly charge a spare battery when in need, without you having to run to the hardware store in the middle of a job. With the above two models, that can be the case, especially if you work on lasers continuously. Another feature that we loved in this DeWALT powerhouse is the missing auto shutdown feature. You really don’t want the laser level to shut off after 20 minutes when you are working on a squaring project on a bathroom. That can really obstruct the flow and productivity. Add to that the IP65 rating and a very large storage kit, the tool is superior from all perspectives. We are sure when we call it the best line laser for construction because there is no other model that can match its versatility. Did you notice that this model does not have any cons? There is so much that this DeWALT power tool houses in its small body that you are bound to surprise yourself every time you fire it up. It gives the total value for money. See also: Green vs Red Beam Laser Level – Which is Better? 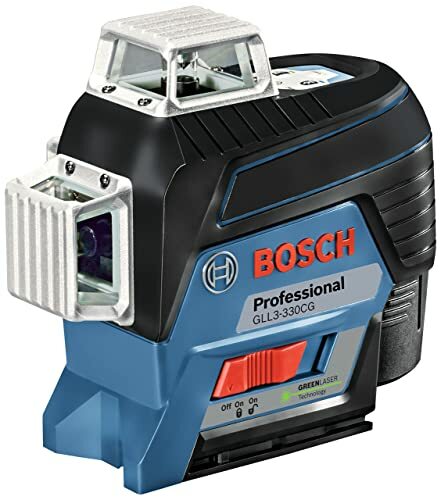 For the DIYer in you, this Bosch 360 laser level is smart, reliable, and all-powerful. Packed with some of the greatest modern features, it has truly helped the 19th-century German brand stay afloat in the market. We are talking about its native Bluetooth support, where users can use their smartphone to manage the level without having to be in the same room. And add to that the feature where you can see the battery level in real-time – helps you stay prepared in case of power shortage. Its dual power technology is also a welcome feature that we have never seen in any other laser level. So even if there is no power outlet where you are working – say, at a construction site in the middle of a desert or forest – you can make do with AA batteries. You can clamp this tool on a ladder, use it in pulse mode – all making it a powerful machine that aids in a one-job setup. Are you a hobbyist who does remodeling in his spare time? Are you looking for a laser level for building decks? Maybe to finish that incomplete carpentry job? Then, getting this will be the best investment you make all year. It is the brightest laser level on this list with a green beam that is anytime better than red, and gives total value for your money. 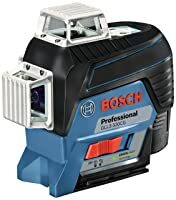 We can’t see any competition nearing to what Bosch has packed into this beast. You can download the free Bosch Levelling Remote Android app here. 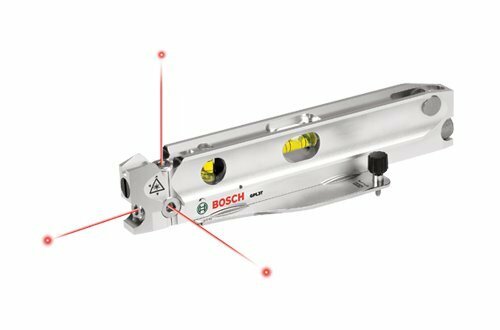 If you are a Bosch loyalist then there is no need to think twice. 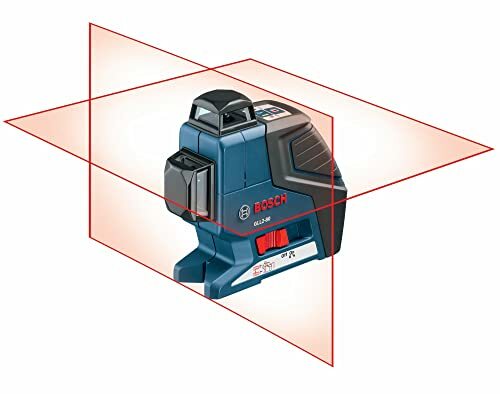 As powerful as any Bosch power tool, this model is right at the top of the bestselling lists in the market and the only laser level with Bluetooth. It does not disappoint! The Pacific Laser Systems (PLS) experience is best described as a hassle-free experience. You don’t have to worry about too many switches or features. Just straightforward red laser leveling and that’s it. For people who don’t know, PLS is now owned by Fluke. This particular PLS laser level has been drop-tested for one meter, which means it is ideal for construction jobs. But more than the rugged design, what sets it apart from other brands like Bosch and DeWALT is its usability. Even beginner construction workers and hobbyists (without much experience) can use this tool – just set up, switch ON, and start working on the squaring or tile-laying process. Compared to the original PLS180, this new model is more accurate and rated for more years of operation. Its 3-year warranty obviously will not come in handy because this tool works for years and years to come. It is the best laser level for electricians, and arguably one of the simplest designs in the market. You will not be disappointed owning it. If you are looking for a top-rated laser level that is not too complex to operate and also fits into your budget, the new PLS180 should be your ideal choice. Another 19th-century brand, which is also a personal favorite, is Klein Tools. An American manufacturer, it is known for its high-quality indoor laser levels that pose a direct competition with DeWALT. If you are looking for a red laser level for laying out walls or hanging cabinets and have to operate in large, long rooms, then this Klein Tools model is your perfect bet. It has a very long range when used indoors, and has a very high accuracy even at the longest range. Although this does not translate when you use it outdoors, it is still one of the best in its price range. The low price aside, this Klein Tools model can also be used as a ceiling laser level thanks to its 360-degree mounting bracket. And you don’t even need a tripod to use it; a ladder will do the job. All in all, although there are not many kinks in this model, it satisfies the requirements of most indoor construction professionals and DIYers. 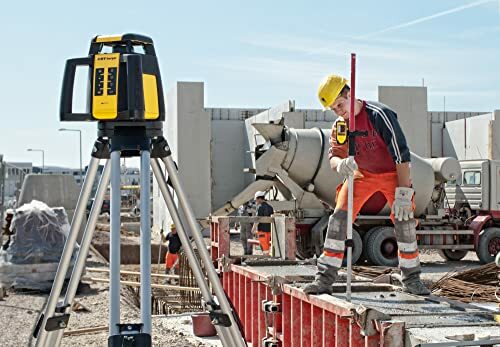 If you are looking for the best affordable laser level for builders, then don’t look elsewhere. This is it. Much like PLS, Klein Tools is known for simplicity and long range in their tools. 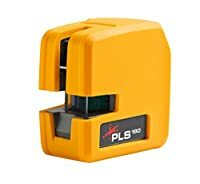 Apart from the low-quality build that can be ignored, there is nothing that can go wrong when you use this laser level. All the six models that we have reviewed, we love them. But as you can see, each serves a different purpose with their peculiar features. If the DW089K – our top choice among the best laser levels for builders – has a 3-beam laser, its cousin, the DW088K is highly portable. The third DeWALT model in the list – the DW089LG has a sharper and brighter green beam for long-range jobs. 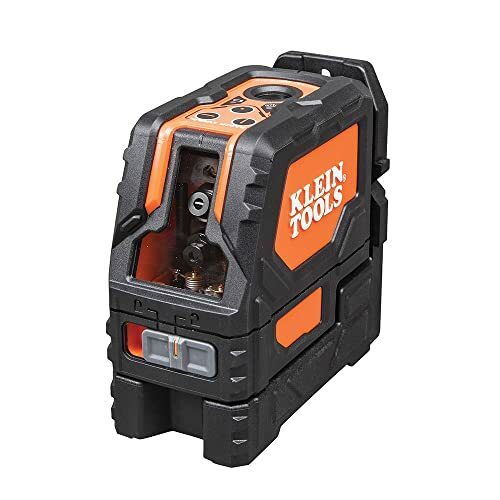 While Bosch has Bluetooth connectivity, PLS and Klein Tools are known for their simple design and features. Whatever model you choose, there is one thing you can be sure about – they are the best in class in the current power tool market. We care about your investment, and therefore, have listed only the best of the best. Happy buying! In simple terms, a laser level is an electric power tool that projects a red or green beam as a vertical or horizontal line (or both) around itself that is equally leveled on all sides. 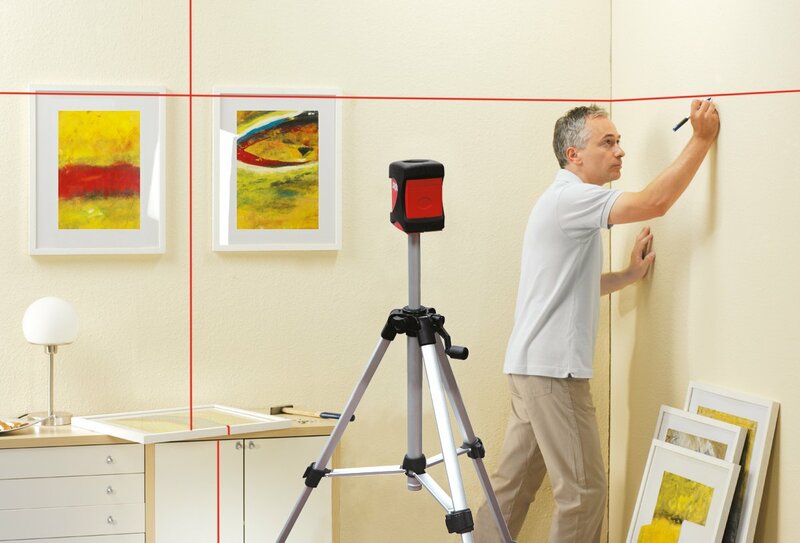 If a laser level is placed at the center of a room and is projecting a horizontal line on the walls, the line will have equal length on all sides from the floor. Its applications involve squaring, leveling, and other carpentry and construction activities where leveling is required from a single reference point. Why Use a Laser Level? Have you ever tried to create a home gallery on your own? You simply have to decide on a layout, hammer in those nails, hang your frames pictures. How difficult can it be, right? Unfortunately, many who did try to make a gallery by themselves discovered otherwise. You’re standing on a ladder with a level on one hand and a hammer and nail on the other. You want to hang a series of photographs and you want to hang them in a straight line. Problem is, it is physically impossible for you to hold a level and hammer in a bunch of nails. So you borrow an electric hammer from the neighbors to help you with your task, but you soon realize that you still need both hands to hold it up. You can either hammer a nylon thread on both sides of the wall (which means adding unnecessary holes on the wall) to guide your alignment, or you can ask another person to help you. If only your level could attach itself on the wall without needing a nail to hold it up, then hanging up those photos would’ve been so simple. If you have even a cheap laser level in your toolbox, then you can do this task and more! Laser levels are pretty much a standard in the construction and civil engineering industries these days. You can use them to make cabinets, check for alignment of windows, doors, skylights and dormers, as well as for concrete and asphalt work. If experts are now using these tools, why shouldn’t you? Why Choose Laser Levels Instead Of Spirit Levels/Bubble Levels? There is nothing wrong with using spirit or bubble levels, but the truth is that there are construction jobs where they are impossible to use. Take for example the scenario in the introduction. Spirit/bubble levels will help you create the guideline, but you’ll need the experience to do it. Also, do you really want to add unnecessary holes in your wall? Aside from aesthetics, another reason why I don’t recommend spirit and bubble levels for construction is that they are only accurate for the length of the level (around 1 to 4 feet), which means you’ll have to keep checking for leveling up to the other end of your workspace. What if your workspace was 30 feet in length? For sure, that would take a long time to measure. Spirit/Bubble levels have vials that are incompletely filled with liquid, in most cases, a colored alcohol. Because the vial is not filled completely, there is a bubble in the tube. If the spirit/bubble level is placed on a truly horizontal or a truly vertical surface, then the bubble stays in the middle of the gauge. Unfortunately, the middle of a gauge for one may be a few millimeters off for another. Also, if you want to work with an incline, it is almost impossible to keep the level at the same inclination, especially if you have to keep moving in the process. It is precisely in these situations where laser levels are best used. Laser levels are easy to use. With just a press of a button, you can create a guideline, check for alignment, and even squareness with no hassle. You don’t even need a chalk line if you have a laser level. Talk about convenience! Laser levels are highly accurate up to a fraction of a millimeter. Laser levels make it easy to work with inclines. First, you can mount them so they can maintain the same position while you complete your work. Second, the settings do not change even when you move it to a different location – unless, of course, you want it to. Before I go technical with laser levels, I want to tell you a bit of history. Light beam leveling is a pretty modern technology. It was used first in 1996 for cardiac monitoring. Soon, it was discovered by other professionals and was developed into technologies in other fields such as, in this case, construction. Over the years, scientists and engineers have fine-tuned the technology and this has resulted in top rated laser levels which are compact, affordable and can be used in many practical applications. Ever seen a war movie where the victim discovers where the sniper is through the red laser dot on his clothes? Well, laser levels are like this. They shoot out light beams which can be used as your guide for any layout or alignment jobs. Today, there are at least three kinds you will encounter when you buy a laser level. These are categorized based on the way they emit light. Each of these laser levels has own their advantage and disadvantages. As its name implies, this laser level projects a single or multiple reference dots on the work surface. It works the same way as a water level and a plumb bob, only much more accurate for longer distances. The problem with dot lasers is that they have shorter ranges than the other types of laser levels, and so can be difficult to use for any other purpose than as a reference point. Price ranges vary from $20 to $500. Cheaper models are used exclusively indoors, while more expensive ones can be used outdoors. Line lasers project a straight line from one point to the other, over a distance of 64 to 100 feet. Most line lasers are built for indoor use and can be difficult to see in bright light, but newer models are equipped with better led diodes than can be seen outdoors. Also, some models have a pulsing light technology and can be used with laser detectors for outdoor use. Depending on its features, the best laser level can cost anywhere between $100 and $600. Rotary laser levels project a level line, much like the line laser, and this line rotates around the room in 360 degrees. Aside from the single line generator, there is also the plumb up and plumb down capabilities. Most models are remote-controlled for convenience. The rotary laser level is highly accurate and is ideal for outdoor work such as laying foundations and pipes or grading roads. Though the rotary laser is more powerful than a line laser, it is also bulkier and more costly. One unit can cost somewhere between $250 and $2,000. You will need to use a sturdier base if you want to mount a rotary laser level because it is much bigger than the line laser. Those designed for foundation work can be very large and must be mounted on a platform or a tractor. What Can You Do With A Laser Level? Over the years, laser levels have become smaller, easier to use, more accurate and more affordable. Today, it is used not only in large construction projects but also by do-it-yourselfers who need to perform two- or three-man jobs on their own. In general, laser levels are used for layout jobs that require high accuracy. Some common applications include the installation of ceiling tiles, sewer pipes, or even as simple as the installation of chair railings. Level floors with a single line laser beam. Ensure that your walls are perpendicular and straight using a three-beam line laser. Attach it to a ceiling mount to help you install ceiling drops. Use a tripod to install cabinets and trims, even picture frames on your wall. Can be used for contour farming for better irrigation. How To Choose A Best Laser Level? When you say a laser level is accurate, it means that it is able to determine the leveling of a work surface by a fraction of an inch. A tool that has an accuracy rating of +5/16in. is less accurate than those with + 1/8in. The more accurate the laser level is, the better. Meanwhile, the visibility range refers to the distance that the laser can be seen with the naked eye. The longer visibility range, the larger work surfaces one can work with. Most Class 2 laser diodes can be seen up to 50 feet indoors. If you are working for small to mid-scale construction sites, then 50 feet should be enough. However, for large-scale construction, you will higher visibility tools. Some cheap laser levels are manual leveling, which means that the user has to look at a bubble vial to check if the unit is leveled or not. To manually level the unit, you would need to adjust some thumb screws, which are, needless to say, cumbersome for first-time users. Self leveling lasers have an internal pendulum that does the leveling for you. As its name implies, it automatically levels itself up to 5 degrees – even if the surface is not fully horizontal/vertical, as long as the inclination is within 5 degrees, then you can use it as a reference point. If the unit is jarred and it gets out of level by 6 degrees, then an out-of-level indicator typically blinks. There are advantage and disadvantages to both types. Both types are useful, except that self leveling lasers will save you time and can ensure more accurate results. Meanwhile, most manual leveling lasers are virtually maintenance-free, whereas it can be difficult to discover if a self-leveling laser is not calibrated. 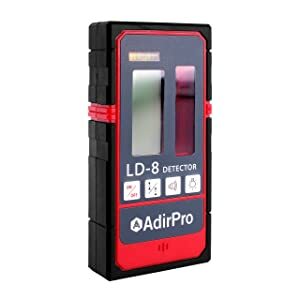 Laser detectors or laser receivers have two primary purposes: to extend the working range of a laser level, and to enable laser levels to be used outdoor or in bright light conditions. Most detectors emit sounds to help you get on level – a fast tone to move the detector down, a slow tone to move up, a steady tone when you are at level. The decision to purchase a laser detector depends on the kinds of application you want to use your laser level for. If you don’t intend to your laser level outdoors, then a laser detector may not be a good investment. It is important to note that not all laser levels accept laser detectors, so if you have an intention of buying detectors in the future check your laser level’s specifications first. For example, if we want to keep the beams to a certain height, or a specific position, mounting threads will come in handy. Needless to say, the more standard the mounting threads of a laser level is, the easier it is to mount since you can use a camera tripod for the purpose. 7. The Most Important: What Do You Want To Do With a Laser Level? 3 beam lasers or layout lasers: has all the benefits of horizontal and vertical lasers, plus the third plumb line checks for squareness of walls and floors. It is best for cabinetry and jobs that involve lots of 90 degrees and 45 degrees measurements. Most laser levels can be used out of the box, with just a press of a button. The best laser levels usually have mounting hardware included in the kit. Tripods: to keep the tool stable in place. See also: How to choose the best laser level tripod? One of the first things you need to do before you use your laser level is to set it up on a flat surface. It is best to use a tripod for this. For a manual level, make sure that the bubbles are in the middle (at the “level”). If not, turn the screws near the vial until you get level. Turn on the level and use. For a self-leveling laser, you will need a few seconds for it to level itself. Some units emit a blinking light if it is out of level. In this case, you’ll need to adjust the unit itself. Turn on the level and use. If there is no wall where the laser beam can reflect on, you can use a laser detector to find the beam. Check the manual to determine how the laser detector will signal “leveling”. Determine your desired height for the picture frame. Put a small mark on the wall to serve as your reference point for the top most part of the frame. Turn on the laser level and align it horizontally with the mark on the wall. Make sure it is level. Now, get the picture frame and measure the length from the top of the frame to the hanging mechanism. Use the distance you get from #4 and measure from laser downwards. Make a mark on the wall, depending on how many frames you want to hang from the same location. Punch a nail at the mark you have made. Place the picture frames and check for alignment at the top using the laser. Set up the laser level on a tripod on stable ground. In many homes, floor-to-ceiling heights are not always constant inside a room, so using the floor as a base for wall tiles may not always be a good idea. Identify a point on your wall, just a few inches off your wall. Make sure that the distance from the floor to this point is less than the height of a tile. Turn on your laser level and align the horizontal line to the point identified in #1. Line up the end of a 2-inch-wide straight board with the laser line and screw the board to the wall. Rest the first row of your tiles on top of the board. This will make a perfectly level first row. Continue putting the tiles up to your desired height on the wall. Once all the tiles are securely installed, remove the baseboard. Custom-cut tiles for the bottom row so you can keep consistent grout lines. Floors and ceilings typically have the same measurements, so if you are installing ceiling fixtures it is best to lay them out on the floor first and save yourself from a stiff neck. Mark the position of your ceiling fixtures on the floor. Put the laser on a tripod, and then turn it on. Line up the downward pointing beam to the center of the fixture marked on the floor. Use the upward pointing beam to mark the location on the floor. On the floor, measure the length from the beam to the points where the fixture will be attached. Mark the measurements found in #5 on the ceiling. Hold up the ceiling fixture and install. Do Laser Levels Damage The Eyes? These levels use Class 2 diodes which can be seen by the naked eye, but its beams are of low power and do not cause eye damage unless one stares straight into the source of the beam. What Is The Difference Between A Green And Red Laser? The human eye can see green light better than red so that green lasers can be seen at longer distances. When used outdoors, particularly in bright light, both green and red laser are difficult to be spotted and would require a laser detector. How Often Should My Laser Level Be Calibrated? Most self leveling laser levels do not need to be calibrated, however, if you want to be sure, you can bring it to an accredited store every six months for check up. This way, you can also catch issues early on, hence preventing device failure. Can I Check Calibration Myself? Ideally, yes, but only if you understand how levels work. The most basic way of doing this is by projecting the beam or dot on one wall, approximately 5 to 10 meters away. Then, turn the level by 180 degrees, and check if it lines up with the other line. If not, then the laser level is not calibrated and must be returned or brought to the service center. Laser levels save time, effort and money. They are perfect for jobs that require accuracy and precision. If you are a serious construction professional, laser levels are a perfect investment for the long term because you will use them many times, for many different kinds of projects. Even if you don’t construct for a living, laser levels have a lot of use. Now you can check the alignment of tables in chairs with just a press of a button, or you can create your very own side table for the weekend! Truly, laser levels are a must-have for any tool kit. Finally, I hope my laser level reviews will help you in choosing the best laser level.